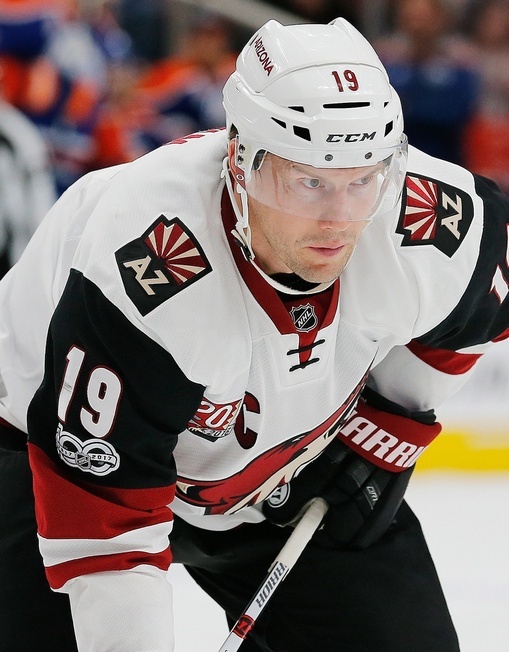 The Arizona Coyotes will not be re-signing Shane Doan for the 2017-2018 NHL season. The 40-year-old has played the entirety of his 21-year career with the Coyotes franchise, starting as a Winnipeg Jets selection back in the 1995 NHL Entry Draft. The team moved to Phoenix in his second year in the NHL. Doan was named team captain in 2003 and holds many franchise records, including goals (402), assists (570), points (972), and games played (1.540). In 74 games in the 2016-2017 season, he had just 27 points – his lowest full-season total since 1998-1999. The long-time Coyote was not expecting the decision. According to reports, Doan was made aware of the team’s decision on Saturday by team general manager John Chayka. The next step could be an interesting one. Doan says he plans on testing free agency and could land a contract somewhere, but his diminishing returns may not make him an attractive fixture. He hasn’t ruled out retirement. The Coyotes certainly have a plan and they’ve been making moves to get there. They traded goalie Mike Smith to the Calgary Flames on Saturday and left Doan, Radim Vrbata, Brad Richardson, and Jamie McGinn off their list of protected players for the expansion draft. Also, word around the campfire is that Oliver Ekman-Larsson will be named team captain.